Bob and Cassie McCandless of Berry would like to announce the birth of their second child. 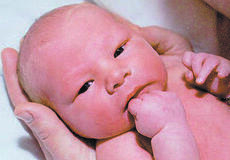 Kash Wilson McCandless was born at 8:30 a.m. on April 5, 2010 at St. Elizabeth Medical Center in Edgewood. He weighed 9 pounds and 7 ounces and was 21.5 inches long. His maternal grandparents are Charles and Rhonda Fiscus of Corinth. His paternal grandparents are E. Merrill and Deborah Mitchell of Berry and Tom McCandless of Berry. Kash was welcomed home by his brother, Nolan Mccandless. The 56th annual Crittenden High School alumni banquet was held May 15 at the Crittenden Baptist Church. Alumni and guests gathered at 3 p.m. to socialize and renew old acquaintances and alumni and guests were welcomed by President Julian Wills. Merle Simpson recognized the honored class of 1940, which celebrated 70 years. Those present were Mary Frances Spegal Wills and William Wills. The Grant County News won two awards recently in a contest sponsored by the News’ parent company, Landmark Community Newspapers Inc.
Jamie Baker-Nantz, editor of the Grant County News, was awarded a first place award for news photography. Baker-Nantz submitted three photos she took during 2009. One was a police standoff in Corinth, another involved a fire in Cordova and the third was a photograph of Della Jones watching Barack Obama’s inauguration. Baker-Nantz was also awarded for her writing skills. Sgt. Robert Reed, of the Williamstown Police Department, graduated from The Academy of Police Supervision on June 25. Reed attended a three-week course in Richmond through the Kentucky Justice and Public Safety cabinet Department of Criminal Justice Training. “I believe that this training will be a great benefit to our police department and to Sgt. 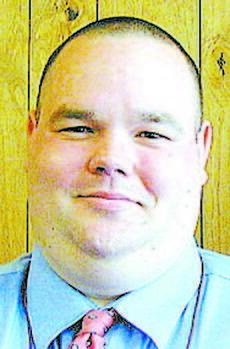 Reed, as he expands his law enforcement career,” Chief Al Rich said. The course consisted of 122 hours of study, which included both practical and situational activities. Army Pvt. Nathan W. Roberts has graduated from the Multiple Launch Rocket System (MLRS) Crewmember Advanced Individual Training course at Fort Sill, Lawton, Okla. The course is designed to train the crew member in launch operations of various missiles and ammunition in quick strikes during combat. The student was trained to perform maintenance in various launchers and re-supply vehicles and reload ammunition on these type vehicles. Jeremy and Celisa Whaley would like to announce the birth of their son. Blake Austin Whaley was born on Feb. 3, 2010 at St. Elizabeth Hospital in Edgewood. He weighed 8 pounds and 6.7 ounces and was 20 inches long. His grandparents are Rick and Carol Whaley and Mark and Melissa Meadows. His great grandparents are Willena and the late Emerson Whaley, Larry and Judy McClanahan and Bob and Judy Hegge. His great great grandparents are Adelene and the late Joseph McClanahan. Despite adversity growing up, Charles Kearns loves nostalgia. After losing his 21-year-old son, Chuck, in a car accident in 1993, he was comforted by looking at his son’s high school yearbook, but it also evoked a longing to regain his own 1960 yearbook from Williamstown High School. Kearns found himself wanting to hold onto bits and pieces of the past even tighter, after his son’s death. His wife, Margaret, told him he needed to let go of of the past, and pointed out that he may be obsessive, Kearns said. 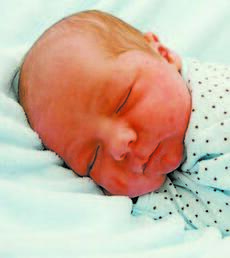 Everett and Beth Srouder of Corinth would like to announce the birth of their second child. Nicholas Trey Srouder was born at 10:33 a.m. on Nov. 3 at Christ Hospital in Cincinnati. He weighed 7 pounds and 5 ounces and was 20.25 inches long. His maternal grandparents are the late Ronnie McClure and Barb McClure of Corinth. His maternal great grandmother is Nancy McClure of Williamstown. His paternal grandparents are David and Becky Srouder of Owenton. 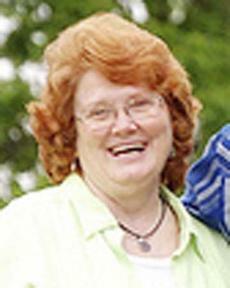 After 22 years of service, Rita Thompson will be retiring from the Farm Service Agency. There will be an open house in her honor from 6 to 8 p.m. June 25 at the Farm Bureau Building, 486 Helton Rd.,Williamstown. No gifts are requested. The Fortner Family reunion will begin at 11 a.m. July 18 at shelter one and two at the Grant County Park in Crittenden. Everyone should bring a covered dish and dinner will be around noon.